1. Preheat oven to 200 °F (95 °C). 2. Place mushrooms in a large, resealable plastic bag. Add wine, 2 tsp (10 mL) canola oil, and pepper flakes. Seal bag and toss back and forth to coat evenly. 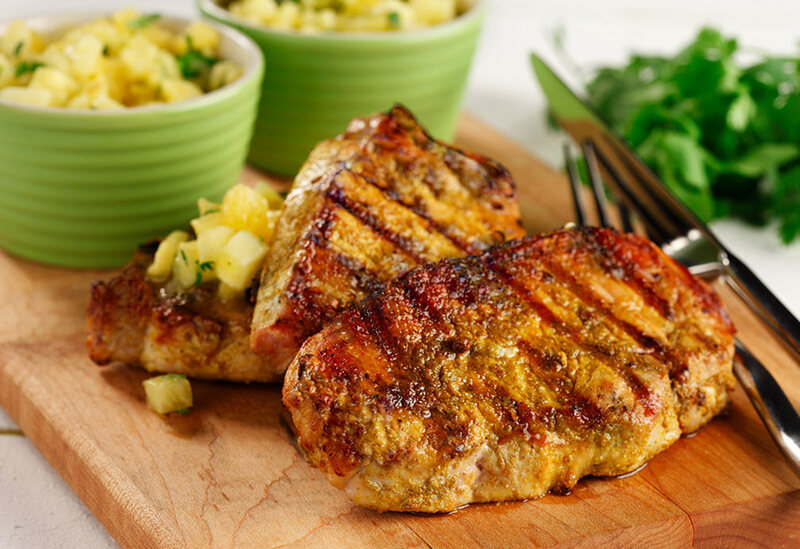 Marinate for 15 minutes, turning frequently. 3. Meanwhile, sprinkle black pepper and salt evenly over beef, and let stand 15 minutes at room temperature. Heat 1 tsp (5 mL) canola oil in a large nonstick skillet over medium-high heat, tilting to coat bottom lightly. Add beef, cook 4 minutes on one side, turn, and cook 2 minutes or to desired doneness. 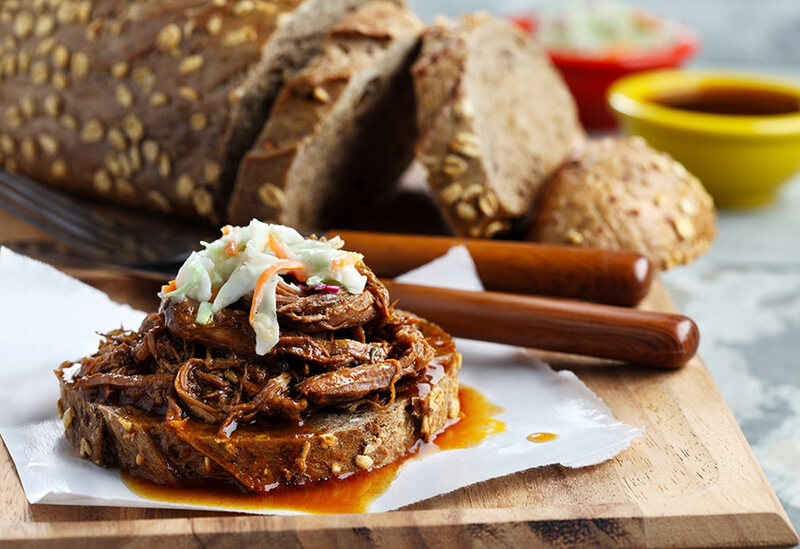 Put on an oven-proof plate and place in the oven to keep warm. 4. Remove mushrooms from marinade, reserving marinade. Coat pan residue in skillet with cooking spray and cook shallots 30 seconds, stirring constantly. Add mushrooms, coat with cooking spray, and cook 3 minutes or until tender, stirring frequently using two utensils. Add reserved marinade, bouillon granules, and water. Boil for 1 minute to thicken; remove from heat. 5. Place steaks on individual dinner plates. 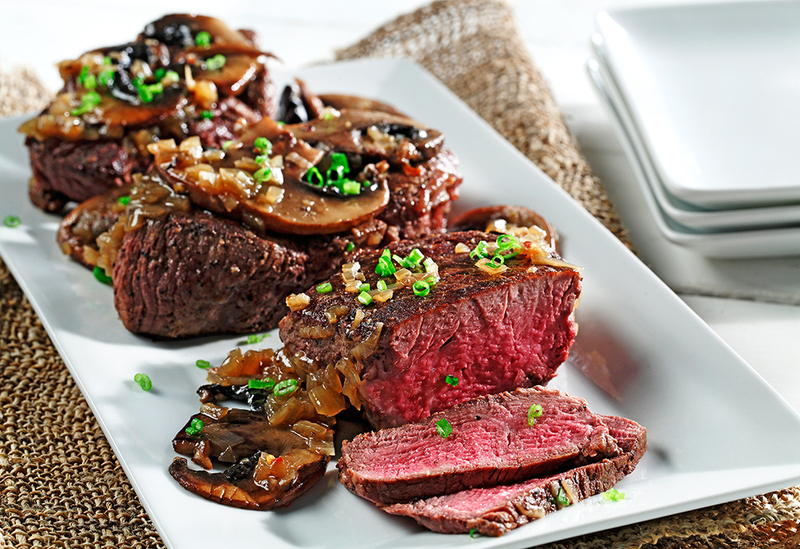 Add any leftover beef juices to mushroom mixture, stir well, and spoon equal amounts over each steak. Sprinkle evenly with chives. 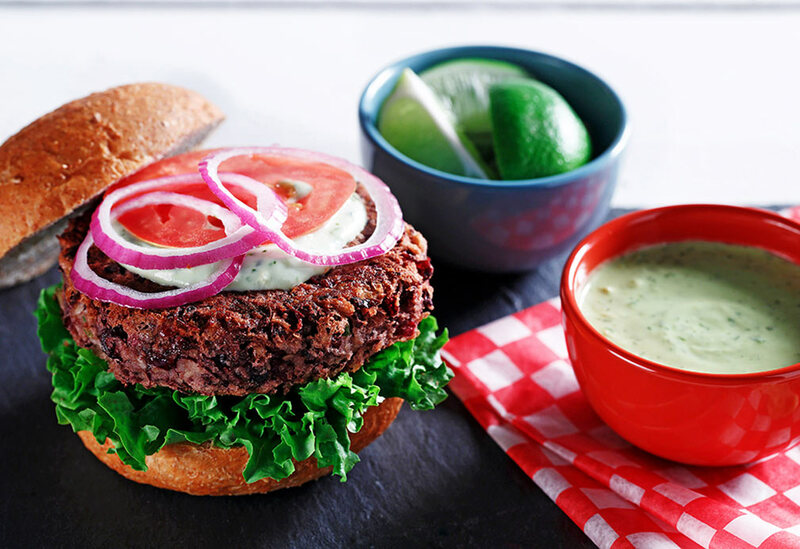 Jazz up these yummy burgers with avocado-lime mayonnaise and you'll have a vegetarian dish that even the biggest meat eaters you know can't resist.